COOEE. Today marks the launch of my jewellery collaboration with the swedish brand Cooee and I couldn’t be more excited! I’ve been working on this collection for about a year now and I’m SO happy to finally be able to share it with you guys. It has always been a dream to design my own jewellery collection and I feel so blessed to have been given this opportunity! I knew I wanted to create simple, timeless pieces that I would treasure many, many years from now, and so the cross collection was born. The inspiration came from my love for vintage jewellery, and it all started with an old silver cross found at an antique market in Miami a couple of years ago. Since then it has become somewhat of a tradition to collect cross pendants as souvenirs from my trips around the world and it feels so special to be able to add something I have designed myself to my little collection. The cross collection consists of four pieces (one necklace, a ring, one cuff and one bracelet) that all come in sterling silver & goldplated brass, and all of the pieces are available for pre-order over at Cooee starting today. Oh, and if you use the code cooee+fashionsquad you will get 10% off your order until Friday next week! This entry was posted in Collaborations, Details and tagged collaboration, cooee, jewelry collection by Carolina Engman. Bookmark the permalink. Lovely designs! Cute and chic! I love these pretty dainty jewellery! Congratulations Carolina, I LOVE the designs. I really like the designs, especially the ones in silver! How exiting ! Congrats on the collaboration ! WOW really beautiful! I love these crosses, they are so ancient. Congratulations! Such a great collection that really reflects your personal style. Stunning! Such beautiful, classic pieces. Love them all! Everything looks very classy and beautiful! Oh wow these pieces are so impressive and absolutely beautiful! Really cool necklaces ;) have a nice weekend! Congratulations!! Lovely collection… I would like to have it all! The jewelry is amazing! Love it ! 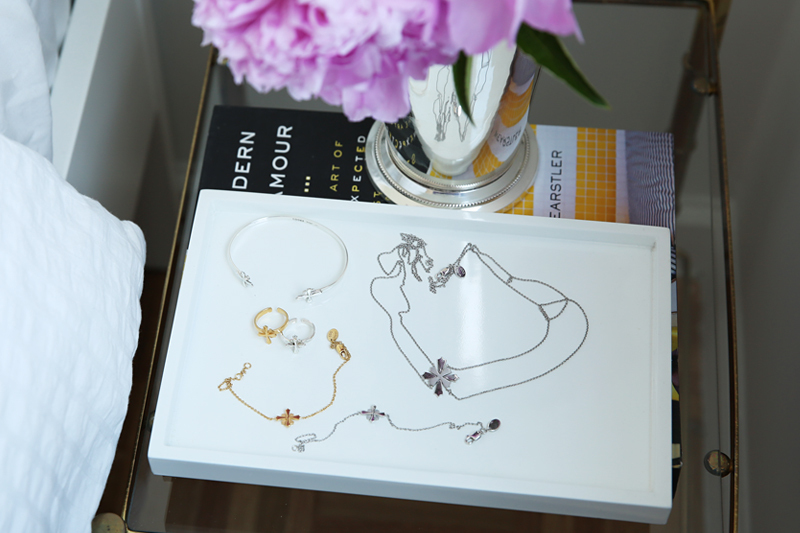 Dying over the cuff…these are really beautiful pieces, congrats! Beautiful line ! Congratulations. We love this jewellery ! What a great collaboration . The jewels are amazing !! The collection really suits you. Congrats ! Absolutely love these jewelry pieces! You’ve done a great job Carolina! 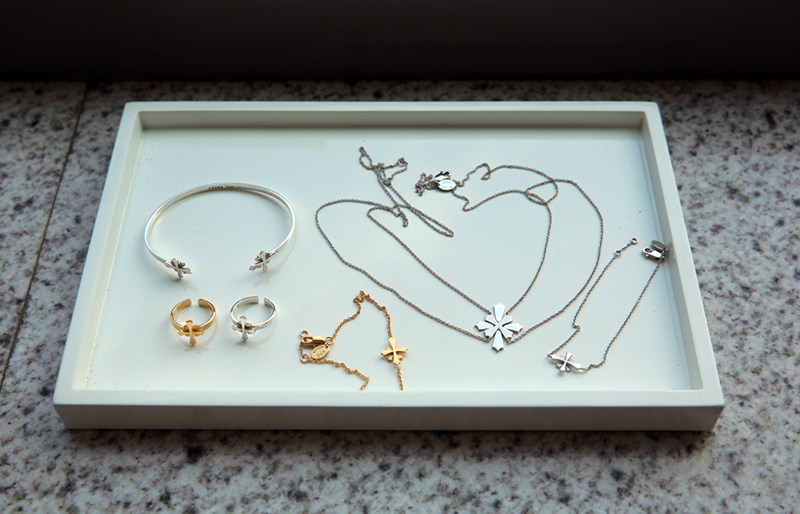 Beautiful delicate pieces, they really suit you! wow, really amazing.. Have a nice day. Congrats for this great collaboration, the collection is beautiful! Wow such a pretty collection, you can be very proud of these stunning pieces! wow the collection is simply beautiful! :) good job! Lovely! My favourite is the gold bracelet. congrats, thats a very beautiful collection. They´re all beautiful pieces! So dainty! That’s fantastic! I love the collection! wow! congrats darling! love the pieces! I like fine jewelry. the rings are my favourites! I”m addicted to arm candy. Just added the bracelet to my wishlist! Wonderful! Cross necklace is my favourite! Nice collection !!! I love the rings. This project turned out so beautifully. Thank you for sharing.